Open to the public a protected space rich in life where people are encouraged to be in contact with nature in order to learn how to preserve it, creating employment and value on the territory. Nature conservation ant the protection of local wildlife, providing their well-being for ourselves or with other people help. Provide an interesting experience at the environmental education : inspire, inform and educate people to the maximum of the importance about respect for wildlife, land conservation and the protection of the environment as a whole. 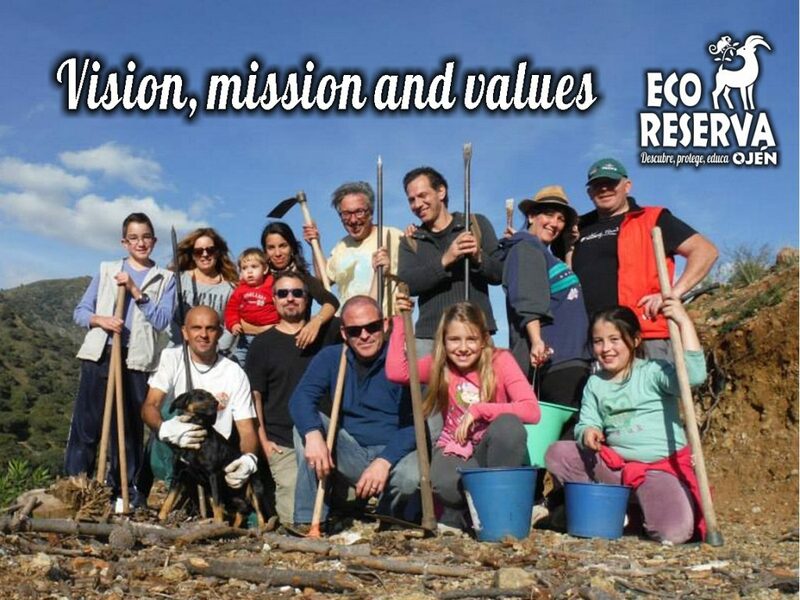 Contribuate to the sustainable development generated by resources and take care of the environment. Collaboration: We create an atmosphere that encourages responsabililty, creativity and participation. The ability to create new ideas, new actions or innovative thoughts to transform the world around us with sustainable solutions. Passion: Enthusiasm for Nature of people of all origins and abilities. We must value, respect and listen to our staff, volunteers, members and supporters in order for them to fully contribute to the realization of our project. Friendship: Get to know people and make friends, a vital experience creating a teamwork, camaraderie, solidarity and affectivity in a friendly atmosphere. Concern for the well-being of the others, support and celebration of successes and triumphs achieved. Working in a team brings more benefits than working alone. Satisfaction: Working together enthusiastically to conserve Nature must be rewarding and entertaining for all involved. Professionalism: Science and conscience. Commitment, training, experience. To ensure the well-being of wildlife, completion and the maintenance of the mission, we must work efficiently and continuously over time. We keep the promises we make. Recognition: We are grateful for exceptional work, awareness and perception and we will be grateful for any contribution either personal or corporate. We value the relationship with our groups of employee : volunteers, visitors, sponsors. Transparancy: We think what we do, we say what we think and we do what we say, never forgetting to give the best of ourselves. Our attitude and honesty is the example which inspires us to create a community. We believe in this trust through the close relationships we have with our support groups. We are meeting the commitments we took together.